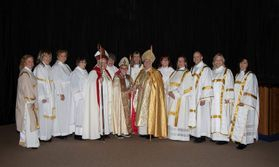 Sunday April 22 saw a celebration of new ministry as we consecrated two bishops into our church. Congratulations to Bishop Sam Moffatt and Bishop Thomas Twose! 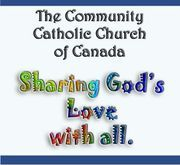 Formerly The Old Catholic Church of Canada, we are now The Community Catholic Church of Canada. This marks an exciting new era in our Church's history as we reach out to all in the name of God's Love. Our Presiding Bishop is The Most Reverend Deborah Vaughan. Our mission is to live the two great commandments given to us by Jesus: to love God and to love our neighbour as ourselves. Drawing from Catholic/Anglican traditions, we are open to ALL who wish to worship in an affirming, Christ-centred community where questions are welcome and spiritual journeys are honoured. The Community Catholic Church of Canada was established in 1960 as the Old Catholic Church of Canada. We find our roots in the Old Catholic tradition and have valid orders, sacraments, and apostolic succession. The CCCC is both an inclusive and progressive expression of the richness of the Catholic/Anglican tradition. The heart of our message is Love. Those who are seeking a place to fully be themselves and be embraced by the One who created all, will find welcome in one of our parishes. We invite you to browse through this website and find out more about us. then you may find a home here. Listen to "Prayer on the Go! 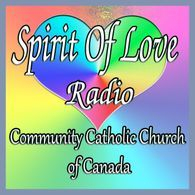 - with Bishop Deb" on Spreaker. Become a deacon in our inclusive progressive church!